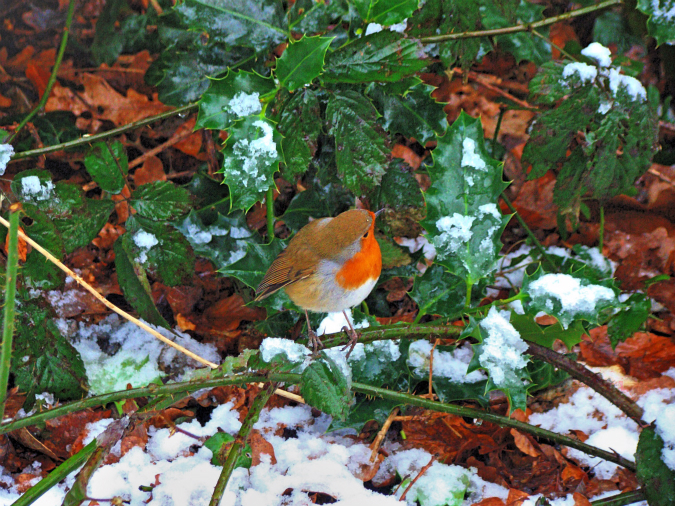 Robins move around very quickly, looking this way and that way: this image was captured in Wimbledon Common on Sony DSC-H50. Image (1) is the original. I worked on a Chromebook to create numbers (2) to (4) using Polarr. Images (5) and (6) were created using Fotor HDR effect, combining three images from (1) to (4). Images (7) and (8) were created using iPiccy, and based on image (6).